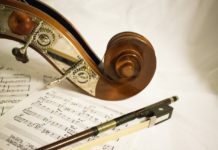 If you want to amplify your violin or make your violin sound like an electric violin, you might want to purchase a violin pickup or a violin transducer. You could always use a microphone, but the sound from a violin pickup is high-quality and more natural. Since there are a lot of violin pickups on the market, we will take a look at the ten best violin pickups and violin transducers that are available on the market. We hope this guide will help you find the best violin pickup for you. If you’re looking for an affordable violin pickup, the Cerub WCP-60V is it. The sound is great and it won’t bust a hole in your wallet. That’s why we think it is the best violin pickup. If cost is an issue and you’re not willing to spend a few more bucks on the Cherub, the Leegoal violin pickup will suit you. Since it would be your first time to use such device, you should know the key features that should be present in a violin pickup and violin transducer. This way, you will be able to differentiate a model from another. Here are two elements that you should consider. You should ask yourself what type of violin pickup you want. Do you want the removable or the permanent one? Removable pickups come in various designs, price, and tone quality. Usually, players purchase a removable transducer for convenience. 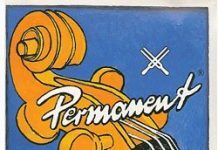 However, for those whose violin needs constant amplification, you should consider the permanent pickup. The volume that is produced is another significant factor that you should consider. It worth noting that the volume of the violin transducer will differ regardless of its attachability. 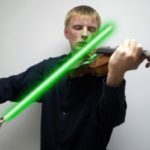 You should take note of the violin transducers that could generate a loud sound without creating a squealing feedback. These are just some of the features that should be noted when looking for the best violin pickups and violin transducers. It is worth noting that awareness of the vital features will make your job of choosing the most appropriate instrument easier. Since violin pickups are meant to amplify the sound, you will need an amplifier to make sound. Make sure you buy a quality amp so that you get the best sound. We recommend the Fender Frontman. While it was made for guitars, it will work with violins as well. The best violin pickup is capable of reproducing the natural sound of a violin to an amplifier or PA set-up. It could be clipped into the “F” hole of the violin. It is a tiny but multi-functional device with functionalities that are capable of meeting the needs of beginners and professional violinists. It is worth noting that the pickup could be used without needing any battery. This violin transducer consists of an adjustable volume level that will avoid feedback squeal. The sound produced is clear, warm, and crisp. It is noted for its convenient and quick installation nearby the sound hole with its self-adhesive backing that could be reused and will not hurt your instrument. Small and not easily noticeable, this device is compact and movable. The padded clip guards against damaging your violin. This transducer has a high output with no battery required. The violin pickup transducer with a 0.25-inch jack with a 9-inch cable. It includes a Velcro but not putty attachment options. You only have to plug it into your amp or other recording equipment. 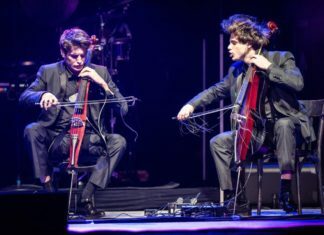 It could be mounted on an acoustic instrument such as your violin. It has the advantage of being able to eliminate interfering external sounds. It is not influenced by sound reflections from objects found nearby. 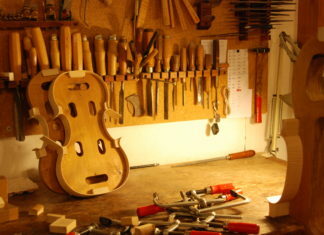 Our next violin pickup clamps quickly to the bridge. It could be connected via cable to the 3100P output jack. Additionally, it offers a wideband frequency response and an exceptional string balance. This pickup features a feedback rejection element which provides excellent signal isolation for natural and precise reproduction of the violin’s sound. Attaching and removing the pickup is easy. Hence there is no need to put holes on the instrument in order to stash this. This is a professional Cherub pickup designed for violins. It has a clip-on design, allowing it to be fixed on a violin efficiently and in a stable manner. When used, this pickup is able to eliminate external noise. It comes with a 1/4 inch jack with a 2.5 cable. In addition to this, this is an easy and convenient product; you just have to plug it into the amp or other recording equipment. With its compact and lightweight design, you could easily carry it anywhere. This violin pickup mounts in the wing slot of the violin bridge with a patented Fishman Floating Mount system. It is lightweight to minimize muting. For this pickup, an impedance-matching preamp is recommended. However, it is not required. For beginners, there will no hassle placing this into your instrument since it has an easy installation with no alteration. This violin pickup is noted for its smooth installation since it could be stuck near the sound hole with its self-adhesive feature. Its volume could be adjusted using a control knob. It produces a good, bright, and crisp sound quality, making it ideal for performances. It does not create a squealing feedback. This violin pickup comes with a 10-foot amplifier cable and four x stickers. Aside from violin use, it could be utilized in other instruments such as the guitar, ukulele, mandolin, and cello. 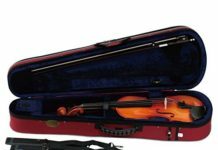 Our next model is is a violin pickup system which features an easy and instant fitting and transferability. When played, it could create a warm and clear tone to your violin. This pickup has no bowing nose, and it could reduce feedback and body boom. It does not require any battery. You only have to plug it directly into any mixing desk or combo amp before using it. Cons:tact Microphone pickup with a 1/4 inch jack with a 10-inch cable. 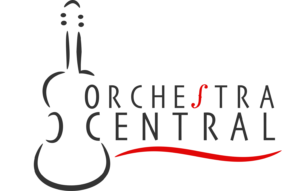 It pickups sound by being in direct contact with the sound source of the violin. It comes with a double-sided tape and a self-adhesive Velcro for multiple mounting options. It also includes a self-adhesive clip and a screw-on clip for mounting the jack. Users could easily plug it into their amp or other recording equipment. Our final pickup is the KNA VV-3 Pickup. 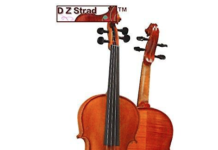 It includes a lightweight and wood-encased sensor which delivers the natural sound of your violin. It consists of a solid ebony, cork-lined 1/4 inch carpenter jack which is held firmly to the violin by an adjustable cork-line clamp. It could be detached or installed when not in use. When used, it creates a professional sound. 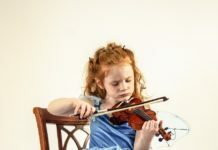 As a violin player, you should ensure that buy the best violin pickup or best violin transducer so that you sound amazing. 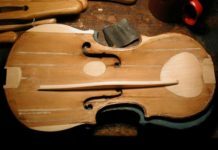 This list of the best violin pickups and transducers can serve as a baseline for the available violin pickups and transducers on the market, but you should test out a few to see which ones make your violin sound the best.